So if you’ve been following my blog, you’ll note I’ve been doing a little research on train sets of late. After visiting a couple of railway exhibitions I’ve been thinking about it a lot and I wanted to do something a little unique and different and so I thought what about the challenge of creating a mainline London station. 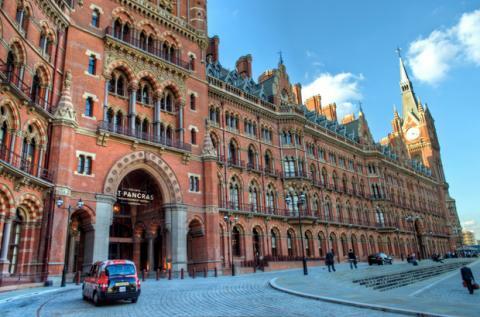 A lot of railway enthusiats tackle some huge projects but I couldn’t find any that relate to working railway models of London railway stations like Paddington, Kings Cross or perhaps the most beautiful of all London building St Pancras. So I took a pal and we went to look at St Pancras and took some pictures. The project would be epic and in n guage (a small train set scale) the bulding and shed would be some 1.4 meters long and 1 meter wide! After doing some research on St Pancras itself, I finally found a model in…. Lego, which looked amazing and that was it – the project was a go! This entry was posted in 2mm finescale, 3d Printing, St Pancras and tagged st pancras 3d printing 3d modelling.